Picked up this makeup mist and the lower lash mascara from Pixi and they are both now must-have makeup items in my daily routine. Grabbed this Free People cardigan on sale after loving it many times on The House of Sequins Instagram page. Love this blush dress that was featured on Somewhere, Lately - and it is only $55! I got this awesome brass mid-century inspired lamp for my nightstand recently. I also love this one, but we don't really have anywhere to put it right now! 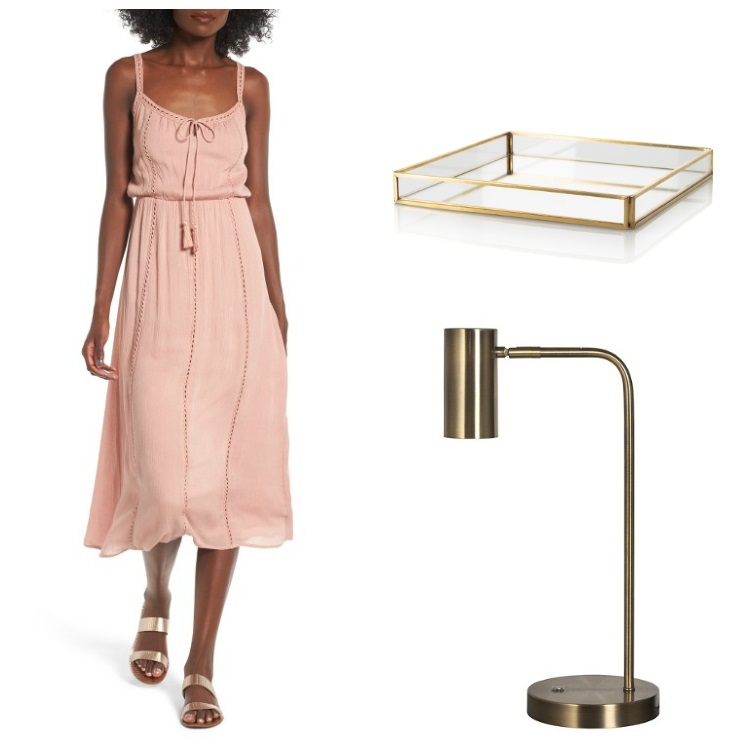 Eyeing this BIDKhome square glass perfume tray for my dresser - think it would go so well with the new brass lamp!